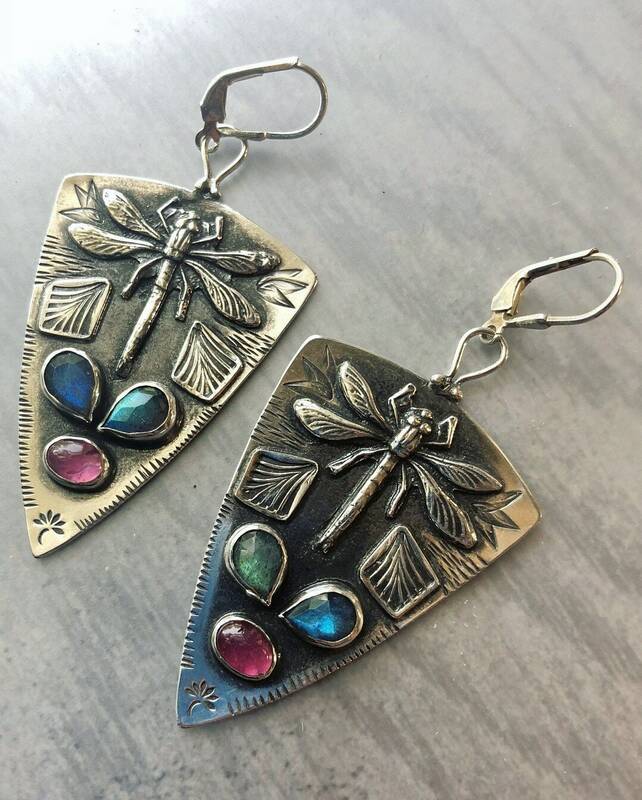 This big, triangular pair of earrings feature fine silver dragonflies amid richly textured stampings. 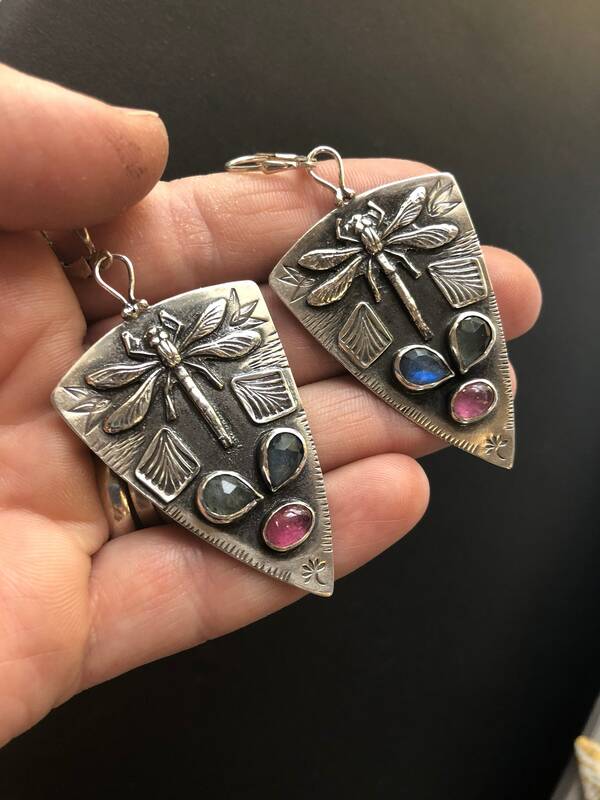 Two teardrops of faceted green and blue labradorite and a smooth oval of pink tourmaline sit at the bottom of the earrings. 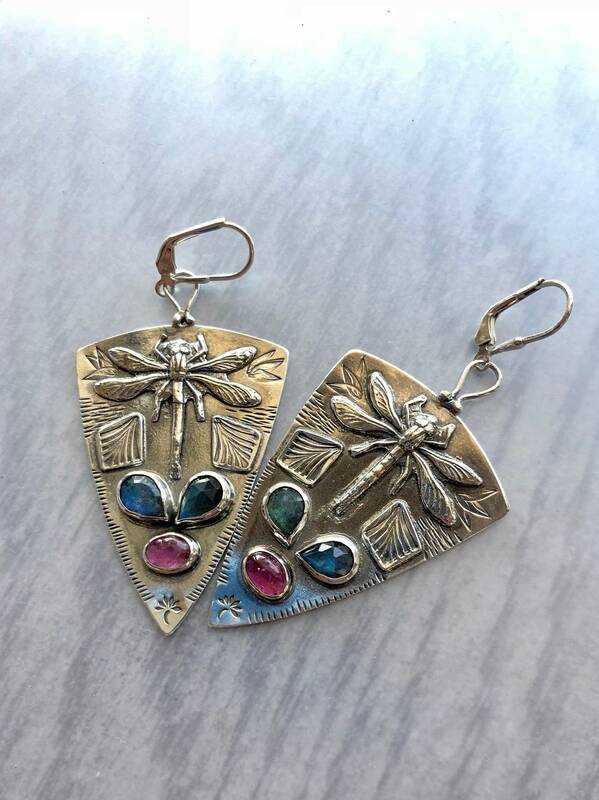 • The earrings are approximately 2” long by 1” wide. 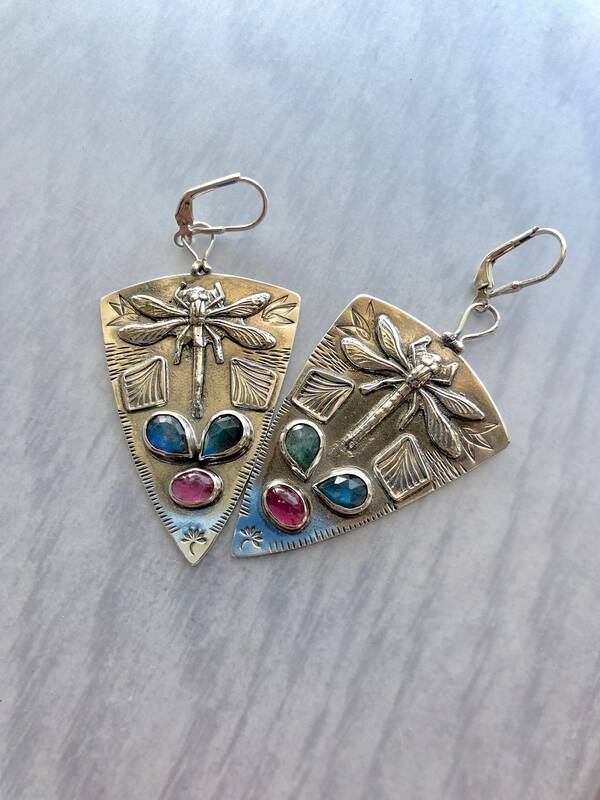 • The ear hooks are sterling silver lever-backs. 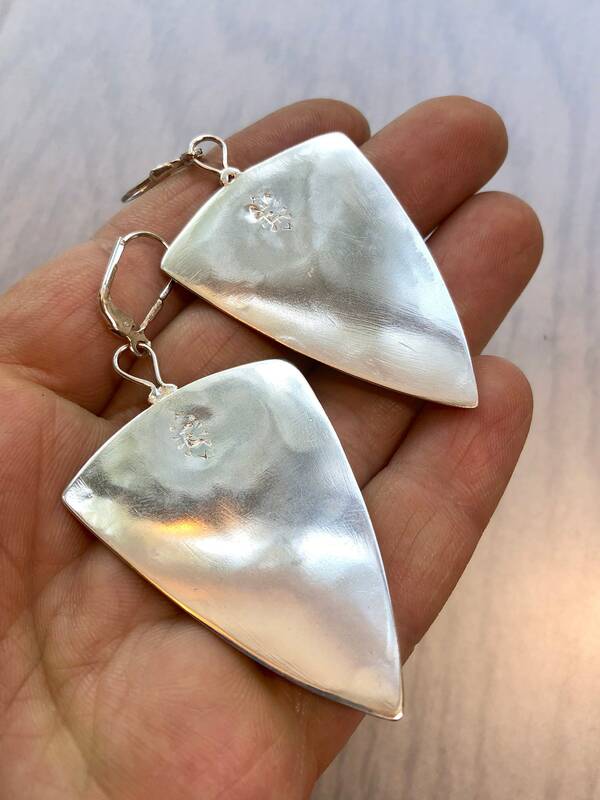 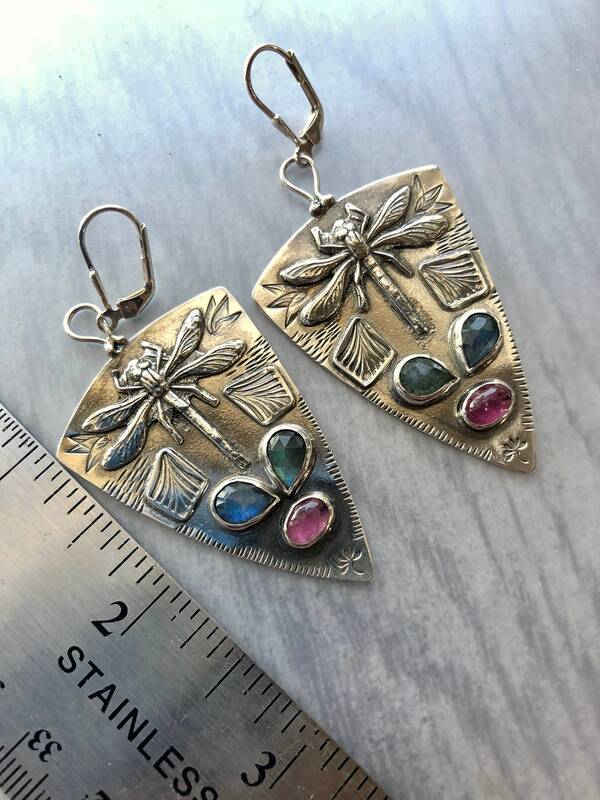 • These earrings have been finished by adding a dark patina and then polished to bring out the highlights. 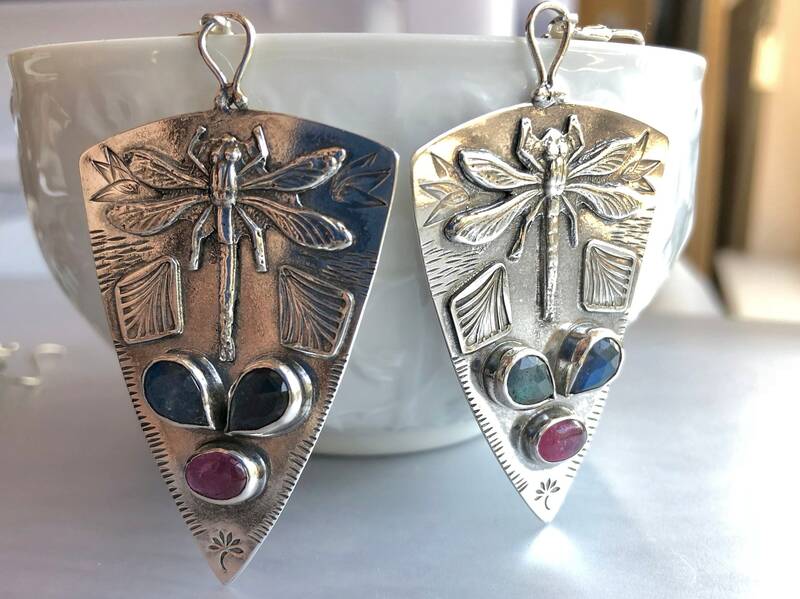 • The dragonflies are made of fine silver PMC+ and torch fired, then soldered on to the 24 gauge sterling silver backplates, which are shaped like long curved triangles. 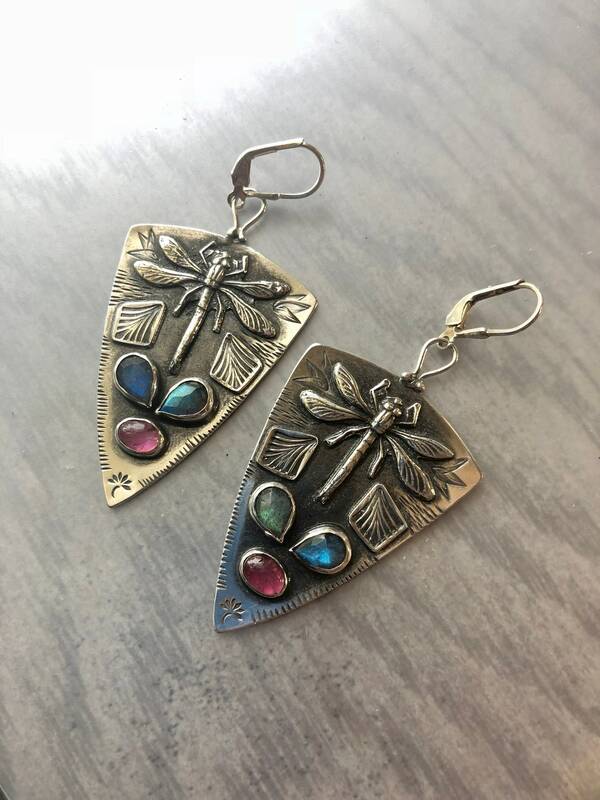 • The sterling silver has been hand stamped, then layered with hand stamped accents.